If you spent your childhood making masterpieces out of Lego bricks then an opening for your dream job has come on the market. 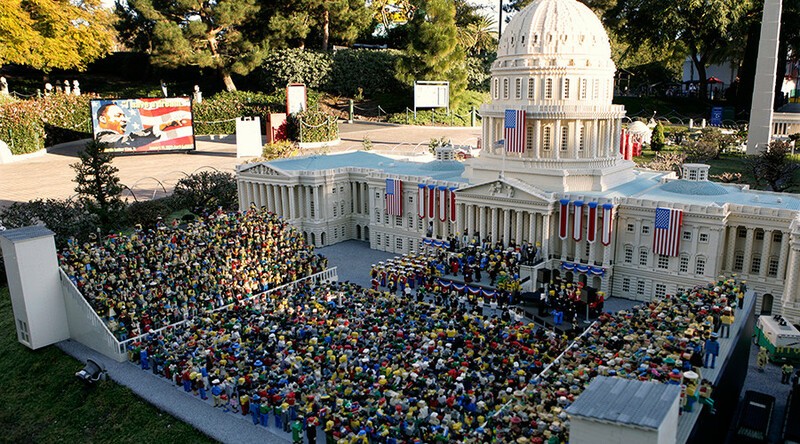 Merlin Entertainment, owners of Legoland theme parks, are seeking 20 Lego builders in their off-site Model Shop – MMM Studios. They have recently hired 50 employees for this task and are looking for more candidates with Lego building experience. Ryan Wood, the model shop supervisor, says most of the model builders played with Lego as children. “This is definitely very much a dream job, when you're a kid you play with Lego, you know? To actually make a living, actually working with Lego, it's just really incredible”, Legoland model builder, Max Petrosky told Fox 13 News. The job description requires that hopefuls “be able to design and build sturdy, accurate, complicated, safe and instalable Lego models for a wide variety of Legoland attractions including miniature scale models and/or life sized organic models from prototypes, diagrams or computer generated instructions." The highest educational achievement required is a high school diploma but a “pre-placement physical” is also required. The openings are for a new facility, Merlin Magic Making Hub, close to their theme park in Winter Haven, Florida. "It's a brand new production facility to make Lego models for Merlin attractions all around the world," Wood explained. "The kind of models we make here are typically for mini-land attractions within the Legoland and Legoland Discovery Center parks."